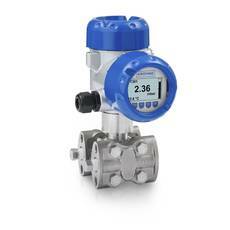 In a fluid system, differential pressure measurement can be utilized in conjunction with a known restrictive element in the flow path to produce a flow measurement. Manufacturers of process measurement and control apparatus often produce application notes that reflect their experience or knowledge about specific circumstances that may create problems for users and operators. The application notes outline the circumstances that create the potential for trouble, then go on to show a method of prevention, mitigation, or elimination of the problem condition. Brooks Instrument, globally recognized innovator in precision measurement and control of flow and pressure, has produced an application note that deals with differential pressure transmitter sensor lines and how to prevent them from being fouled by accumulation of media residue. The application note is included below and also appears in the Brooks Instrument blog. Share your process measurement challenges and requirements with product application specialists, combining your own process knowledge and experience with their product application expertise to develop effective solutions. Differential Pressure Transmitter Sensor Line Purge Setup from Instrument Specialties, Inc.